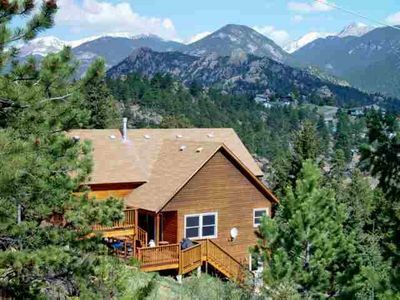 From your hot tub & deck - stunning views of Long's Peak & Twin Sisters! Fall & Winter special: Stay 3 nights; 4th night free. Stay 2 nights; 3rd night 50% off. 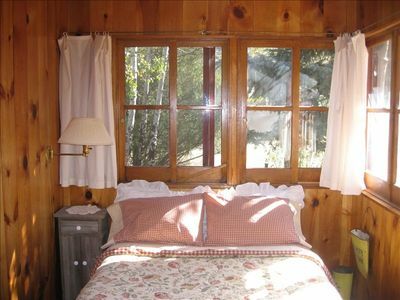 Long’s Side is located 5 minutes south of downtown Estes Park. We are on the side of town closest to Long’s Peak, the highest peak in Rocky Mountain National Park. Long’s Side is a 3 bedroom, 3 bath home with beautiful views in every direction. 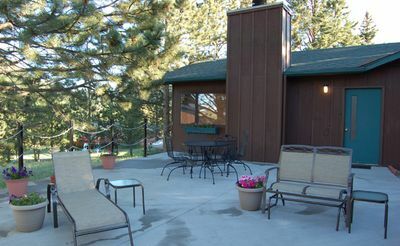 You have two decks plus a beautiful, new hot tub to enjoy the beauty of the Rockies! 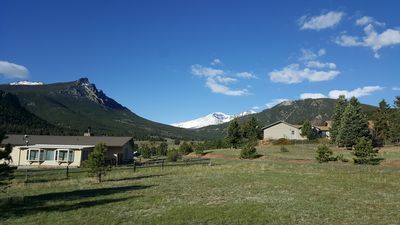 From the back deck and hot tub you can see Long’s Peak, Mount Meeker and Twin Sisters. Watch the sun come up and hit these beautiful mountains! When the sun in the afternoon is too much, you can move out to the front porch for beautiful shade and more mountain views. Watching a blizzard or thunderstorm from the family room windows is breathtaking. Overall, there’s not a bad seat in the house! Long’s Side’s neighborhood is perfect for getting out for a walk. The lots are large and all power lines are buried. This means perfect, unobstructed views where ever you go! From our porches, you can see your neighbors, but they are not too close. Long’s Side is on almost ½ an acre, and this is the minimum acreage for Carriage Hills. There are no busy streets to disturb your views or the quiet relaxation of the mountains. 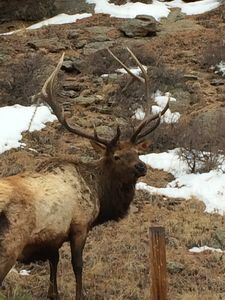 You are away from it all and able to enjoy the beauty of the Rocky Mountains, but only a short ride to some of the best restaurants, shopping and, of course, ‘The Park’! Long’s Side has three bedrooms, each with beautiful wood, king bedroom sets, large closets and flat screen TVs. 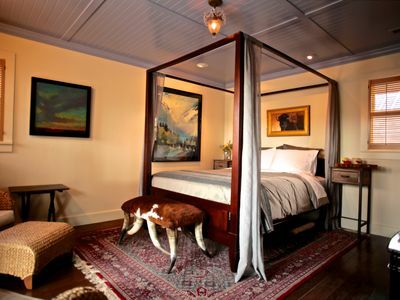 The over-sized master has a beautiful bed with metal inlays – definitely fits in with the mountain setting. 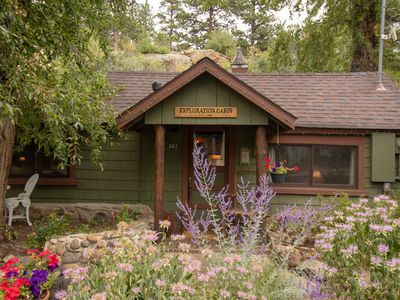 The master also has a 40” flat screen TV and a wonderful sitting area with gorgeous mountain views. The sofa sleeper in the master can be used for extra sleeping area. The private bath for the master has a beautiful, new, large, walk-in shower. The second bedroom also has its own private full bath. The third full bathroom is off the hallway. Sleeping arrangements work best for up to 6 adults plus 4 small children or 2 larger children. At the front of the house is your living room with a large 46” flat screen television and plenty of comfy seating. The couch is incredibly comfy and beautiful, an Ethan Allen sleeper sofa that can be used for extra sleeping space. The couch is complimented by two fantastic lounging chairs, leaving plenty of room for everyone. 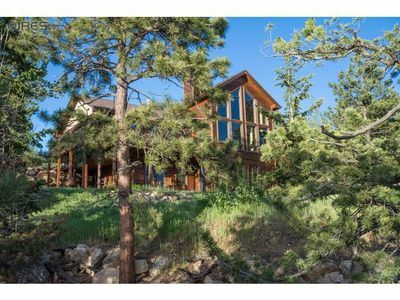 As you move towards the back of the house, your eyes are drawn to the bay of windows in the family room that face Rocky Mountain National Park. There is a large table to seat six, plus the fireplace is at the back of the room, making for a spacious but cozy family room. This is a perfect location for sharing a bottle of wine, a rousing game of Monopoly, and a few hands of poker (or 'go fish'). 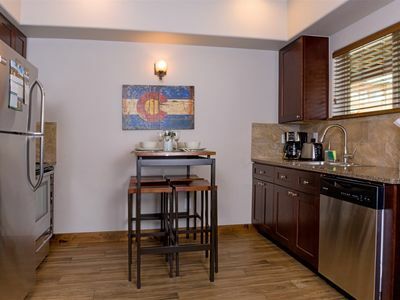 The family room joins the kitchen with a small breakfast bar where you can catch a quick snack. 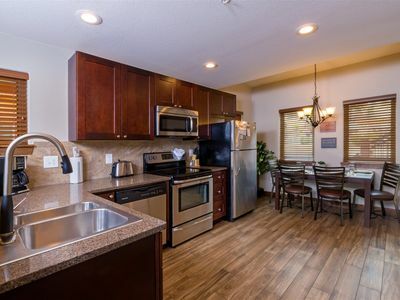 The kitchen has every amenity needed for a great vacation. There is plenty of cookware, silverware, bowls and gadgets to ensure cooking is a breeze. 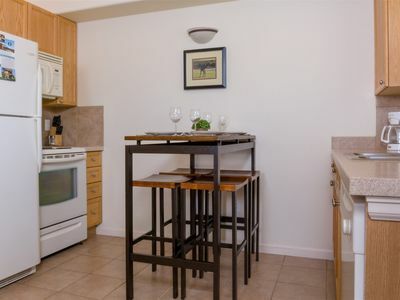 Appliances include a stainless steel fridge, large oven, dishwasher, microwave, toaster, hand mixer, blender, and coffee maker. 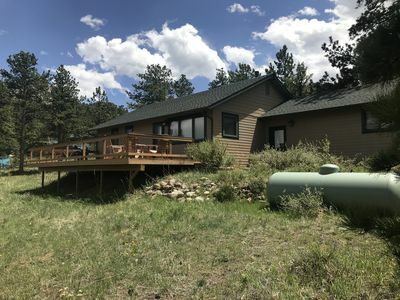 We invite you to stay in our vacation home and enjoy the beautiful views, wildlife and mountains that made us fall in love with Colorado ourselves. 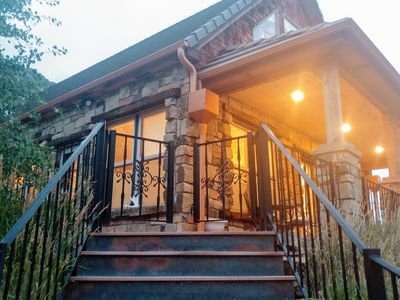 Alpine Blessing - Stunning Mountain Top Views With 5 Outdoor Decks! Starry Skies, Sparkling River, Shimmering Leaves - Refresh & Renew your Soul!